This poor little guy is Chip. He is about 7 months old. 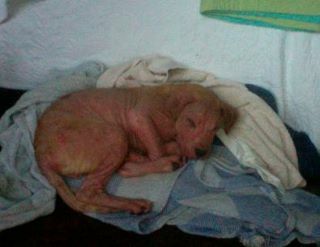 The Miami Dade Shelter picked him up and he was found at a vets in Florida. Two women discovered him and brought him back to Connecticut. to safe his life. 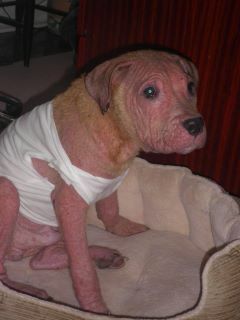 He is swollen, hairless, with multiple contusions/abrasions and emaciated. 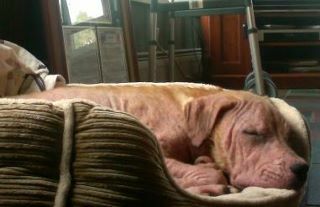 He is receiving medical treatment in our area and living with his foster Mom in Essex, Connecticut. Any prayers and energy healing would be greatly appreciated. He seems to be making headway and appears to be happy finally have found a loving home. Next postAnna’s Amazing Life-Changing Desert Adventure is almost here! Are you coming?